Shopping? Stylish! Cool! 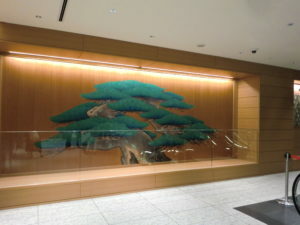 G SIX in Ginza, Tokyo | Why don't you go on a trip to Japan? Hello, thank you for visiting my blog! In Japan, it has been hot and humid on these days and there are many rainy days recent few weeks in August. How is your area? 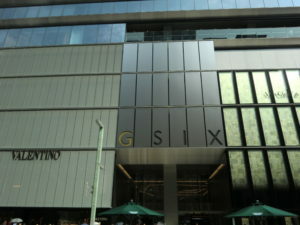 I went to Ginza six, a multiple type commercial facility building, opened in Ginza, Tokyo this April. At the beginning of opening, it became a hot topic and on the air by each media. I asked one of my friends who went there, restaurants and shops were so crowded especially those which introduced by the media must wait in a long line at that time. Now it would not be crowded so I went out there. It was not so crowded actually when I was there. Access 2,3 minutes from Tokyo Metro Ginza and East Ginza Station on Asakusa subway line, Hibiya subway line. 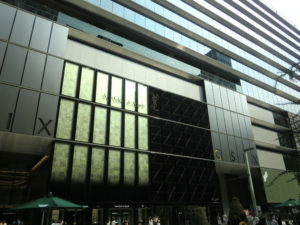 The building is across UNIQLO building. I did not want to buy anything particularly in this time, so I explored the inside of the hall. 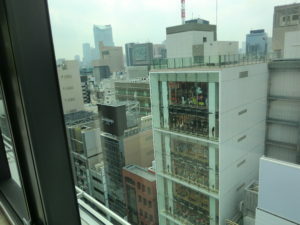 This building boasting the largest department store in Ginza with13-story building. Originally it was Matsuzakaya, a department store. The building consists of commercial area from basement 2 to the 6th floor and 13th floor, and business offices between 7th to 12th floor. The center of the building is designed stairwell style and there was a decoration like a balloon. I often looked the photos of the works in Instagram at that time beginning of opening. 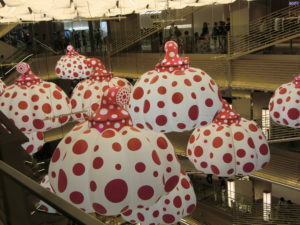 This work is produced by Japanese artist Yayoi Kusama well known for worldwide and displayed until next year. The Ginza six has many shops and restaurants which are the first store to open In Japan, most of the world’s popular miscellaneous goods and accessories, shoes, clothes stores. I think these prices are rather expensive. 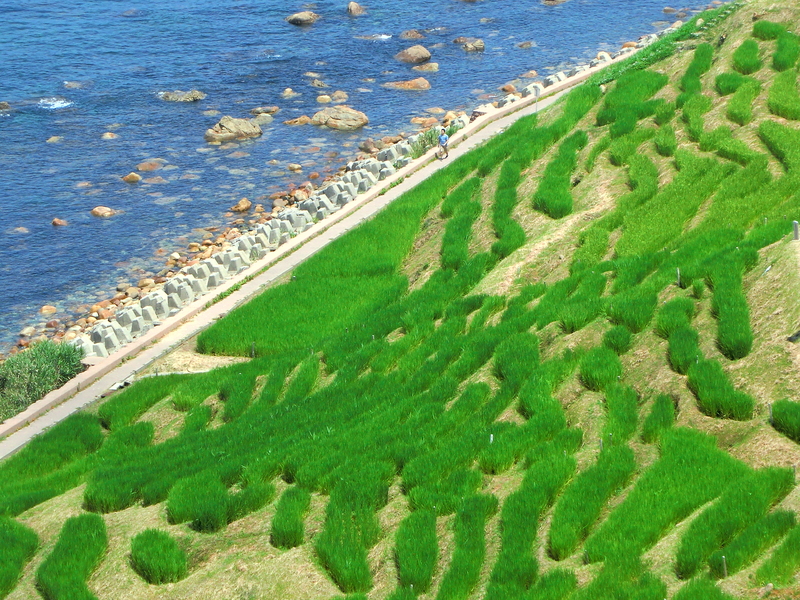 There are many shops such as traditional crafts, foods and goods unique to Japan. You can enjoy even just watching items. 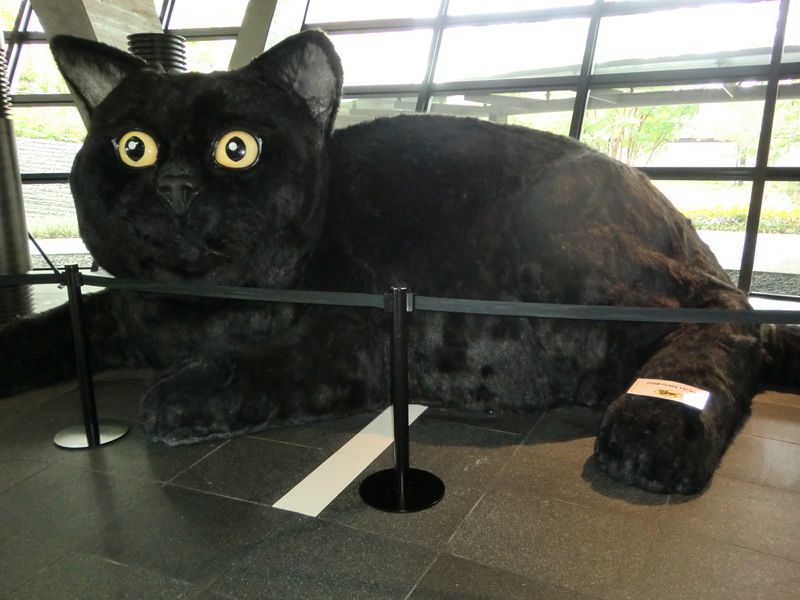 On the basement floor 2, you can enjoy the taste of sweets, bakery, a glass of wine eat-in area in the shops. Mattcya, green tea taste is a popular flavor for ice cream, which is offered by Tsujiri, the original shop is in Kyoto. Wine shop ENOTECA offers more than 1,600 kinds of wine and has an eat-in space in the shop, you can enjoy a glass of wine there. 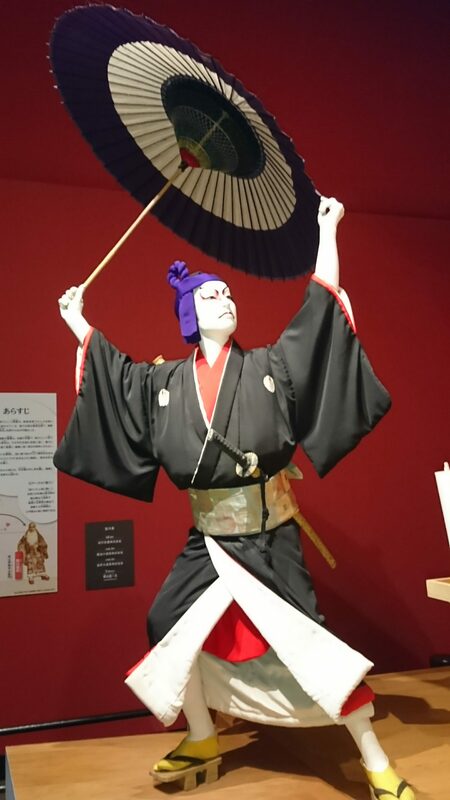 Furthermore, there is the Noh Theater (KANZE Noh Theater), traditional Japanese art, at the basement third floor. 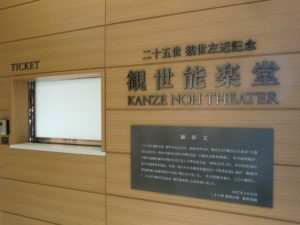 On that day I visited there are no performance. If you want to see it, I think it would be better to check the homepage in advance. Approaching 13th floor by elevator, there is resutaurant & lounge floor. 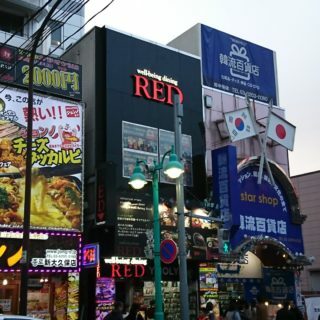 Bars, tempura, sushi, French and others are there. 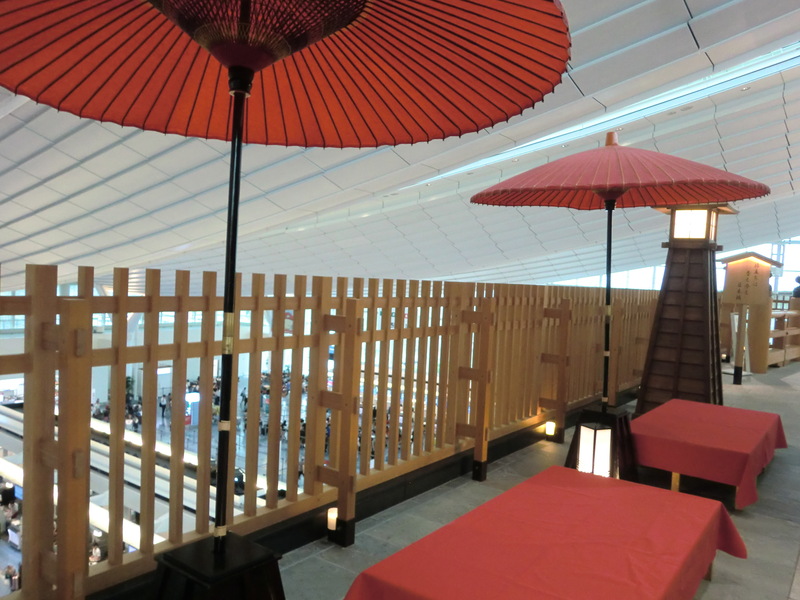 Ginza Grand Premium food hall on the 6th floor, and this floor is more casual and affordable shops are gathered. Since the stalls offer some local specialties such as Kobe beef, chicken dishes of Akita prefecture, crab and sea urchin of Hokkaido, many stalls were crowded around 1:30pm so I passed through and gave up eating inside of Ginza six. 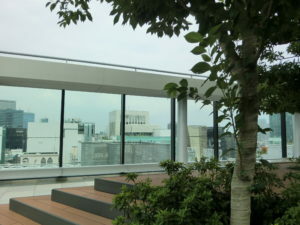 The rooftop is a garden space. 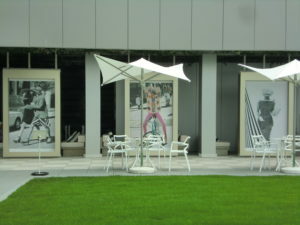 There were plenty of greenery, visitor could be relaxed with great view. Wow, you can see Tokyo tower, Sky tree and Mt.Fuji if it is sunny day. 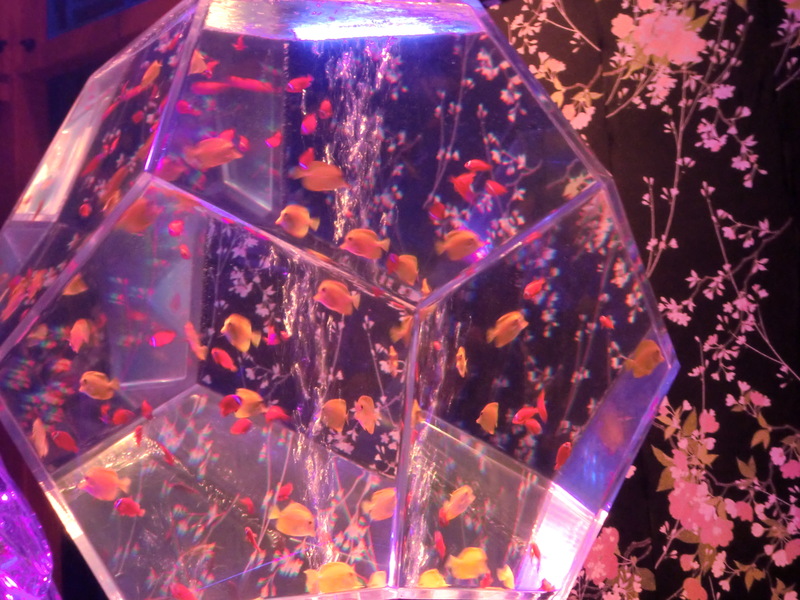 My impression for Ginza six is that luxury boutiques gathered. I think Ginza six expects to come foreign tourist customers, Terminal Ginza means a bus stop for tour bus of exclusive entrances of groups which can be direct in. 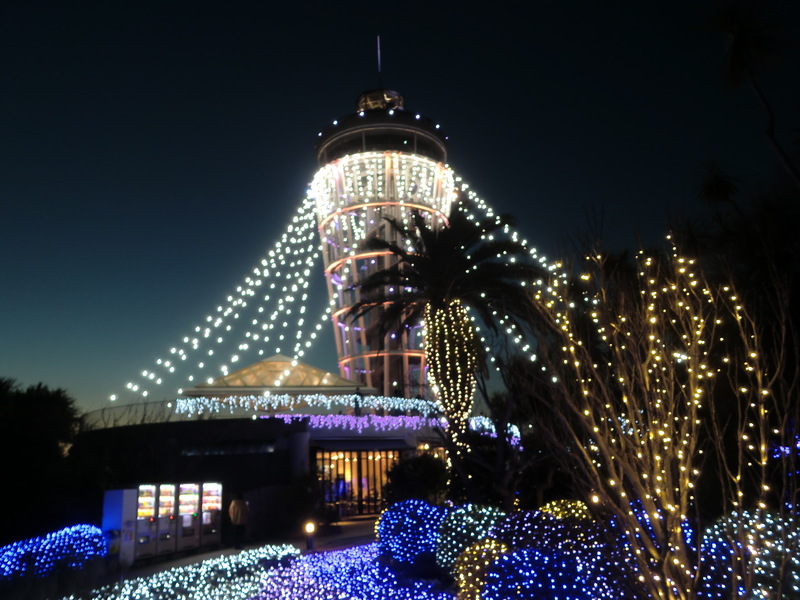 It may convenient shopping for foreign tourists.